....Mr Lim, you have done it again! 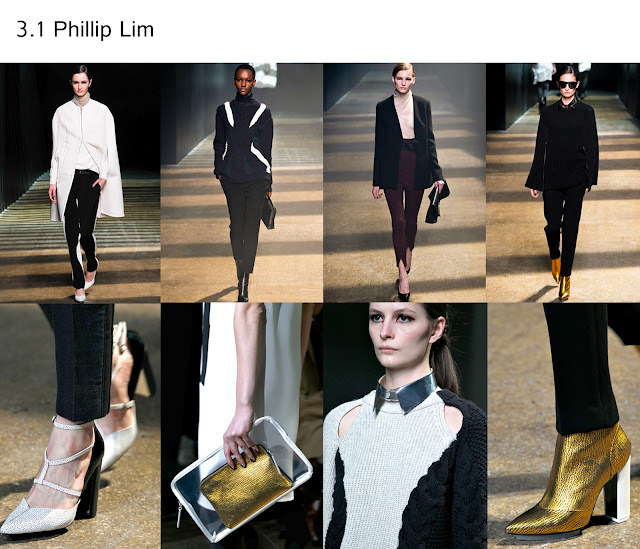 Not the most inivitive collection of New York Fashion Week but for me the 3.1 Phillip Lim Fall Collection was definitley the most wearable. A far cry from his Spring Summer pastel dominated collection which has sent the fashion world on a major sugar rush. He stuck to a sophisticated monochromatic palette this time, with hints of burgandy, cream and teal. The brands signature effortlessly chic look was present throughout with tailored trousers and detailed knitwear but was given superhero status with metallic 'wonderwoman' style boots and metallic collars. If you didnt love him before, you just have to now! Thank you, i am now i am following you :) love your hair in your most recent post, i keep meaning to learn how to do a fishtail plait!